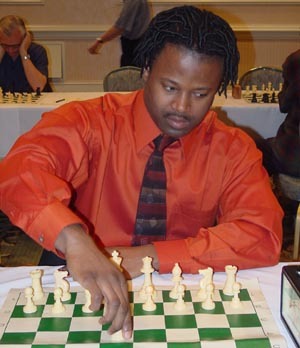 Jamaican born Maurice became the first African American Grandmaster in 1998. Maurice�s gregarious personality landed him a gig broadcasting chess events on ESPN. However Maurice�s true talent is not announcing, but instead playing, as his style allows no room for compromise. He is an extremely hard worker and takes pride in being prepared to play the most theoretical lines in all openings and won't back down against anyone. He is also a very strong attacker and tactician, however to get the coveted GM status he had to raise his level of play in the endgame and in stragetic battles and he has done just that. In all he has become a well rounded player that can do serious damage to just about anyone. As of November 2002, Maurice is ranked 54th in the USA.